When the neighbors have you beat on funny wifi names, you need to take action. You’ve made the right move to come to this page. The next step is to review the list below. Then, select a name. Make the change on your wifi network. You will provide nearby residents and home guests something to chuckle about, or, maybe a reason to smile. Read on. For A Good Time Wifi. How Wide Is Your Bandwidth. This Love Shack is a Hot Spot. My Other Wifi Is Radioactive. You Found My Hot Spot. My Other Wifi is a Hot Spot. 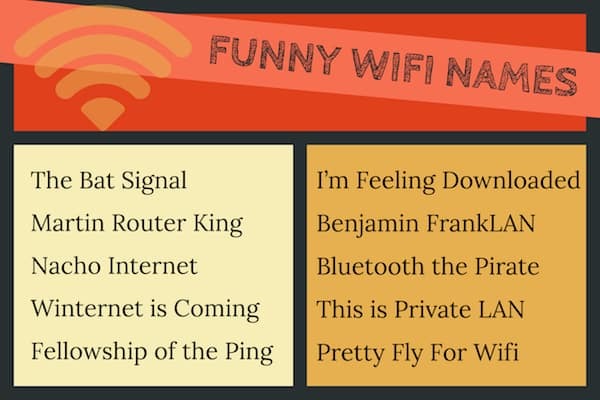 Check out our clever wifi names by clicking on graphic above. May the Hot Spot be With You. Who What Where How Wifi. Mapquest Directions to my Router. The Little Router That Could. Wi believe I can Fi. It’s a Small Worldwide Web. Keep it on the Download. 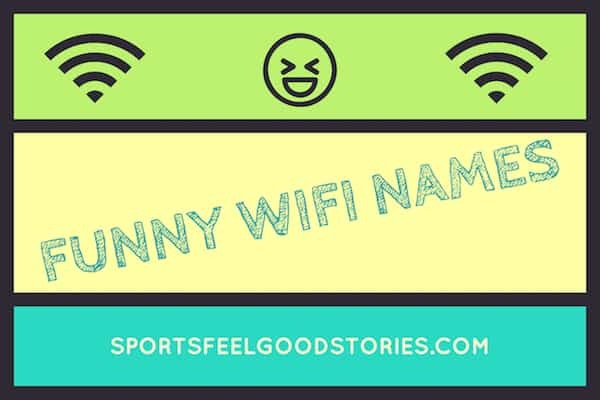 Click on graphic above for best wifi names page. Click on graphic above for more good wifi names. You’re on Funny Wifi Names page.